This modern business centre conveniently placed in the Panorama Mall offers over 90 fully furnished and beautiful offices. This centre provides a cost effective way of benefiting from a comfortable and professional place to work along with a range of services such as on-site reception, 24 hour security, kitchen access, phone systems and access to conferencing facilities. The centre is easily accessed with unlimited parking available on-site. This centre has ready to use office suites with exceptional services and flexible options. This centre is endowed with clever use of space, executive desks and chairs, latest communication technologies and not to forget the free car parking spaces. Business support services and secretarial services are also available as an added option. Additional facilities include conference rooms, training rooms, break-out areas, and courier and delivery services. The centre has an outstanding location in the heart of Muscat city centre. This office for lease meets all modern business needs ranging from latest technologies to client comfort. 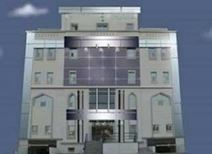 It offers professional administration by qualified staffs in addition to reliable computer networks, bright work areas, fully serviced meeting/conference rooms and ample parking spaces. This office holds a prestigious commercial address in the heart of Wattayah District, a stone's throw away from the financial district. Surrounded by many amenities such as banks, hotels, embassies, tourist attractions and shopping malls. It only takes a short ride to reach the international airport. This well situated centre stands in Watiyah, between the traditional hub of Ruwi and the Al Khuwair commercial area. This centre is located on the fifth floor of an attractive building, and provides modern offices with beautiful interiors. With facilities included in its price, your company can also benefit from conference and training rooms, where you can also host collaborative projects within a fantastic environment. The short drive to Muscat airport (just 20 km away) makes this location ideal for both local and international clients. On the first floor of this prestigious building in a popular part of Omans capital, this business centre provides fully furnished office space on flexible terms. The building is close to a residential area and overlooks Qurum Natural Park. The offices are comfortable, well designed, and come with an inspiring working atmosphere to enhance focus and productivity. There are also copy and printing facilities, complementary beverages, videoconferencing facilities, as well as 24/7 access and security. Within the space's local area, there are restaurants, banks, shops and a shopping centre. With easy access to the Royal Hospital and the Grand Mosque, just a 15-minute drive from the airport, this prestigious Bowsher tower building offers a range of private office space on the mezzanine floor as well as business lounges, meeting rooms and conferencing facilities. There are copy and printing facilities, along with IT support to ensure you remain well connected throughout your occupancy. Close by, there are hotels at which you can accommodate your visiting clients. In the heart of a growing economy fuelled by the oil and gas economy, this flexible workspace is strategically located in the Muscat business district, and provides a vibrant environment from which to work. Various sized meeting rooms are also available. There is IT support on-site to help your business stay well connected at all times, and running as efficiently as possible throughout its occupancy. Perfect for the travelling professional this flexible workspace is ideally located between Muscat City Centre and the airport. It is the ideal location for businesses anticipating international relations. Office suites and co-working areas are all supported by on-site staff that take care of reception needs and administrative requirements. In addition to its facilities, you can also benefit from meetings rooms, and access to other centres worldwide. 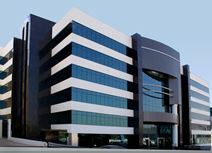 Located in the up and coming business district of Muscat, this business space provides professionals with the perfect place to work and grow your business. Whether you are a freelancers, entrepreneur or organisation looking for an office for your team, this space provides a range of bespoke solutions for you. With affordable rates and flexible terms, you can choose the best option for you. The space also offers a drop-in business lounge, along with 24 hour access. The centre is served by a number of bus services, and customer parking can be found nearby for the convenience of your commute.